Once upon a time, a beautiful young lady named Belle wandered into a dark and scary castle (to save her dad, no less). She is held hostage by the resident Beast. Over time, the two fall in love. This breaks the evil witch’s curse and the Beast becomes a prince! It’s a classic tale of true love against evil witches, heroism against power. This is the long-standing fairytale called Beauty and the Beast, which was recently retold on the silver screen by Emma Watson. 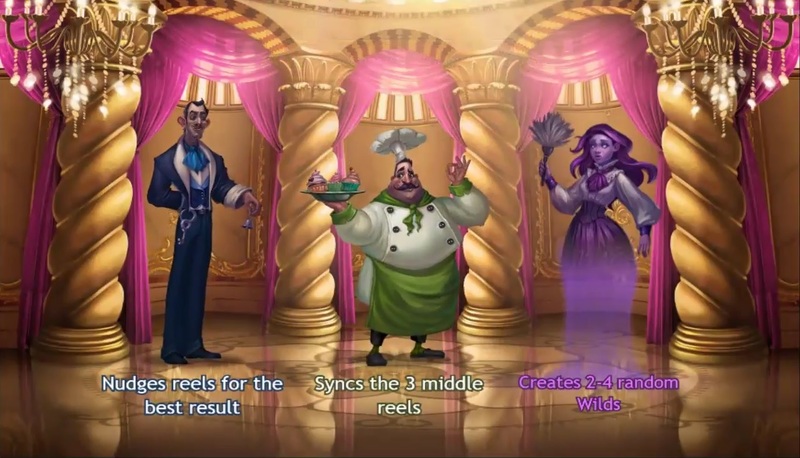 Even more recently, the Yggdrasil studio tells the story in slot format. Like the original story, the Beauty and the Beast slot is the perfect combination of drama and happy endings. In a feature titled ‘The Golden Castle’, the beast becomes a prince and your reel goes on a frenzy of extra spins! You’ll have an array of castle staff at your service too. They’d nudge reels, sync reels and serve up Random Wilds. All of this in place so that you can win the main prize of 250,000 coins! Beauty and the Beast is made up of five reels and 20 paylines. The reels of Beauty and the Beast are filled with regal elements. The lower-paying symbols are the five different coloured gems, while the titular characters (Belle and the Beast) offer big wins. The Wild symbol is the mirror. This symbol can substitute all other symbols except the Rose Scatter to complete paylines. The paytable is relatively generous when compared to typical slots online. Five of the most valuable symbols (namely the Beast or Gaston) can multiply your wager by 250 times! The Beauty and the Beast slot accepts bets between 20p and £250, which covers most players preferences and budgets. There’s also the option to hike up your wager (by opting for Golden Bet) to improve your gaming odds. To activate this, simply hit the little gold-coloured button to the left of the Spin button. Boost: You will win more during the extra spins, as the game starts with two of the servant features instead of one. This option increases your bet per spin by +5 coins. So if min bet is 0.20, it would go up to 0.25. Nudge: This setting triggers the extra spins more often. An additional scatter is hidden just off the reels and nudge itself into view to trigger the extra spins. This option increases your wager by +15 coins. If the min bet is 0.20, it would go up to 0.35. If you’re not afraid to bet big, Beauty and the Beast offers huge potentials for fortunes. You’re not betting blind either—big bets guarantee the activation of more features. If you can afford it, you should definitely play with the Golden Bet at all times as the impact on your gameplay is truly significant. I’d say that it is a mid to high-variance slot. The game doesn’t bother to generate a steady stream of small wins, but it will suddenly surprise you with the ultimate prize. Of course, you have to keep a close eye on your balance and adjust your gameplay as often as needed. It always surprises me how quickly one can can wear down one’s bankroll when playing at 50p per spin. While the slot does not feature the original movie soundtrack, it utilizes music to great effect. The game starts with eery music, as our heroine walks into the ill-fated castle and meets the beast. Visually, the reels are adorned with gorgeous stained glass and castle fittings. It’s a visual masterpiece, produced by the top illustrators and graphic designers at the Yggdrasil gaming studio. Beauty and The Beast is built on the HTML5 platform, iSENSE 2.0. This means that the game can be enjoyed on all devices, including laptop, mobile phones and tablets. The game loads quickly regardless of location, device or platform. Game Features: Extra Spins, Wilds! If you get three or more Rose Scatter symbols on the reels, the game bursts into song and the kitchenware comes alive! I’m kidding — that’s what happens in the original cartoon and movie. The storyline in the slot is actually much better. You’ll be transported to the Golden Castle, which is a brighter and happier set of reels. At the Golden Castle, you’ll get to enjoy 10 extra spins. Before you proceed with the free games, the slot will prompt you to pick one of three bonus features. These features are like your castle servants, placed at your side to help you along your money-making journey. The Butler will nudge one reel up or down one position to give the best possible outcome. The Chef synchronizes the middle three reels to show the exact same symbol with some pan-tossing action. The Maid will place from two to four extra wild symbols in any random position. The Golden Castle extra spins can be re-triggered over and over. Each time, the game will ask you to select an additional servant feature to enhance your reels. These extra spins can technically be re-triggered until all three features are activated at a single time. I hear that the Chef and the Butler make a good pair, as the reels are moved around to create guaranteed wins. 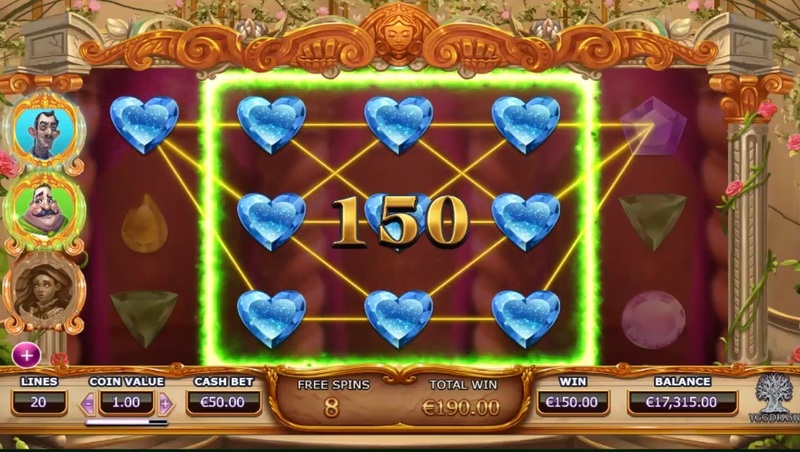 Another wondrous thing to note: if you trigger the extra spins with four or five Rose Scatter symbols, you’ll also receive an instant cash win of 500 or 1,000 coins! This game doesn’t cease to surprise. When a new blockbuster is released in the theaters, it’s not a question of whether a slot will be produced in tandem. Instead, it’s a matter of which slot developer jumped on the bandwagon first. As fans, we can just hope that it’s a reputable slot developer who would do the movie and the brand justice. I was extremely pleased to learn that Yggdrasil was awarded the honour of developing Beauty and The Beast for the slot industry, as this studio is well-known for its visual prowess. In fact, the studio has won multiple industry awards in the last three years, including Innovator of the Year and Slot Provider of the Year. After playing with this production of Beauty and the Beast, I can attest to the fact that the studio’s reputation is well-deserved. Yggdrasil has managed to deliver an immersive gaming experience through great artwork, animation and sound. Want to play Beauty and the Beast? Relive the classic fairy-tale Beauty and the Beast in this breath-taking mobile slot by Yggdrasil Gaming. Beauty and the Beast In a nutshell, Beauty and the Beast is an enchanting little slot. The game is packed with a delightful selection of bonus features, which capture the imagination and enrich the wallet. All of these sophisticated gaming algorithms is packaged in a beautiful wrapper too. The gaming studio has brought together world-class animations and artwork to bring the old tale to life. Just as all fairytales go, you will leave happily ever after.